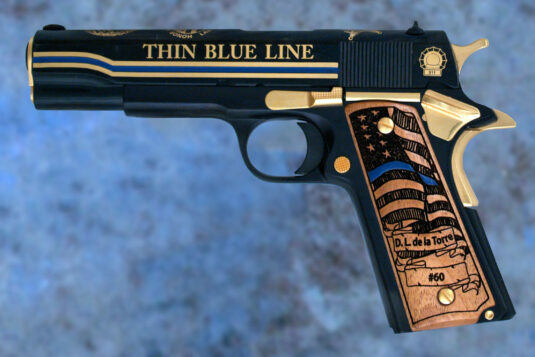 Handgun Archives - Wellington LTD.
Wellington LTD is proud to present the Arizona Centennial Special Edition. This beautifully crafted family heirloom is a tribute to the history and people of the State of Arizona in its centennial celebration. 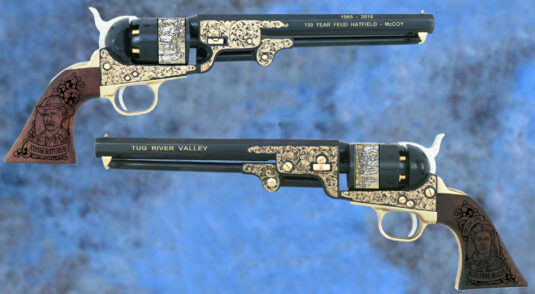 Available in the legendary Colt 1873 .45 caliber revolver, the engraved artwork is defined in 24-karat gold and jewelry-grade nickel. Banners on the frame pay tribute to the Sonora Mining & Exploring Company and the Maricopa & Phoenix Railroad. 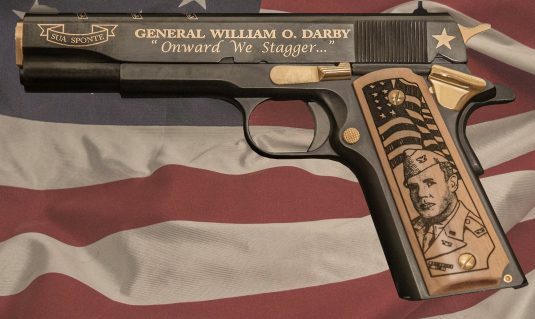 Laser engravings on the pistol grips honor the U.S.S. Arizona and the Prescott Courthouse. The Arizona State flag is highlighted in copper making this edition a unique, fully functional, work of art.